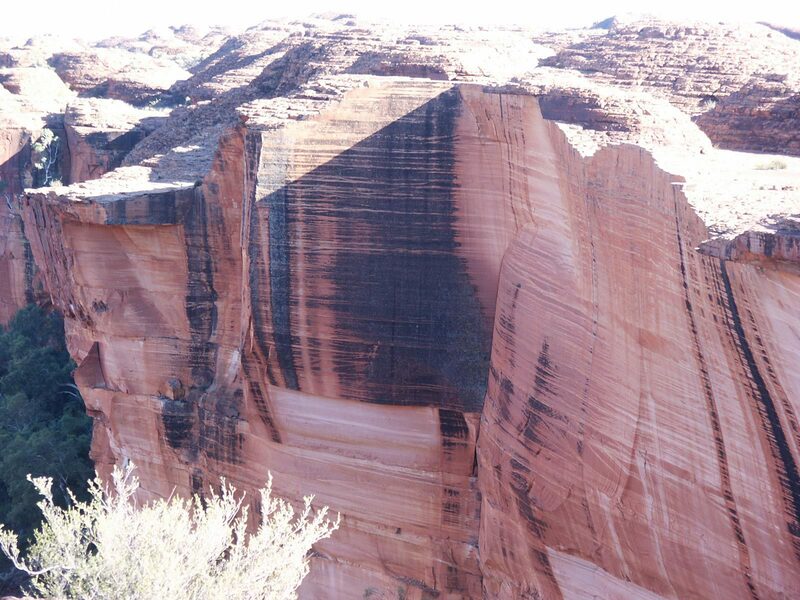 The Aboriginal people’s history dates back an amazing 40,000 years and has been handed down from generation to generation in the form of rock art and stories. Alice Springs and much of Central Australia has been the homeland of the Arrernte Aboriginal people. 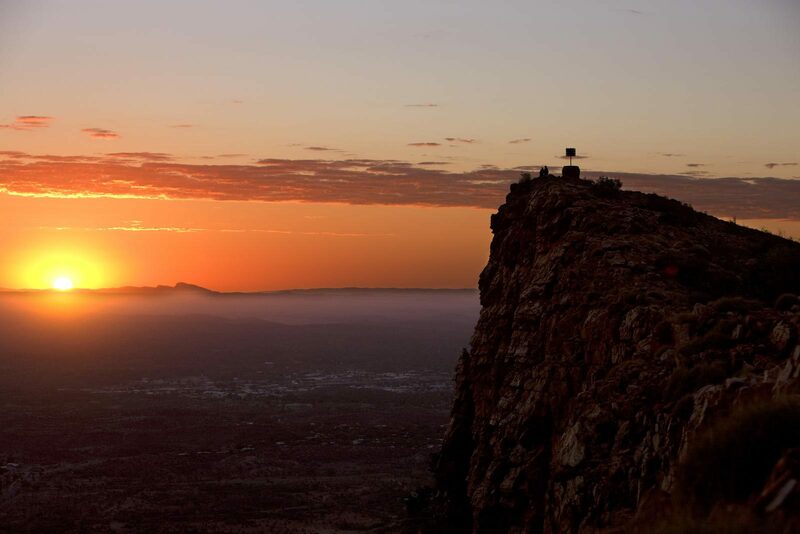 Mparntwe (pronounced mbarn-twa) is the Arrernte word for Alice Springs and was created by the actions of several ancestral figures including the caterpillar beings Ayepe-arenye, Ntyarlke and Utnerrengatye, the MacDonnell Ranges being but one of their creations. Creation stories also describe traditional links with areas as far afield as Urlatherrke (Mt Zeil) in the West MacDonnell Ranges and Port Augusta in South Australia. Arrernte people continue to live in Mparntwe, observe traditional Law, look after the country, and teach children the Arrernte language and the importance of their culture. He first recorded sighting of the Northern Territory coastline was by William Jootszoon van Colster aboard the Dutch vessel Arnhem in 1623. Maccassan, and probably many other seamen, had visited the coast long before that time. The Dutch left a few names on the map such as Groote Eylandt, Vanderlin Island, Arnhem land, Cape Arnhem, Cape Keerweer, Van Diemen Gulf and the Gulf of Carpentaria. Explorer John McDouall Stuart became the first explorer to cross the country from south to north. This paved the way for the Overland Telegraph line, which linked Australia with the rest of the world and helped open the country for development. As arguably Australia’s pre-eminent explorer, the Stuart Highway honours his remarkable feats of exploration and leadership. Following in Stuart’s footsteps, the construction of the Overland Telegraph Line from Adelaide to Darwin was completed in 1872 and made it viable for pastoralists to take up leases in the Centre. However, it was the discovery of alluvial gold at Arltunga, some 100 kms east of Alice Springs, in 1887 that provided a population boom for the Centre. Until the early 1930s, Alice Spring’s official name was Stuart. Alice Springs was the name given to the Telegraph Station, the site of original white settlement in Central Australia. However, this dual naming created such confusion for administrators in Adelaide that on 31 August 1933 the township of Stuart was officially gazetted Alice Springs. Tennant Creek takes its name from the nearby watercourse named in 1860 by John McDouall Stuart in acknowledgement of the financial help he received from John Tennant, a pastoralist from Port Lincoln, South Australia. In 1872 a temporary telegraph repeater station was erected near the Tennant Creek watercourse. Popular local legend has it that in 1934 Joe Kilgariff built his stores where his beer wagon became bogged, and the town simply grew around it. While the story is not true, it is indicative of the type of people who established the town. The city of Darwin was founded as Australia’s most northerly harbour port in 1869, and its population rapidly expanded after the discovery of gold at nearby Pine Creek in 1871. World War II put the city on the map as a major allied military base for troops fighting the Japanese in the Pacific. Today travellers can see evidence of Darwin’s World War II history at a variety of preserved sites including ammunition bunkers, airstrips and oil tunnels in and around the city. Darwin again made world news when the city was rebuilt in the wake of Cyclone Tracy in 1974 – an event well documented at the Museum and Art Gallery of the Northern Territory. As with many settlements in the Territory, the town of Katherine developed with the arrival of the Overland Telegraph Line and establishment of the Telegraph Station in 1872. In 1879, after good reports from Stuart and other explorers, Alfred Giles and Alfred Woods brought stock to Katherine and built a homestead they called ‘Spring Vale’, with a view to establishing a pastoral empire. Today, Springvale Homestead is the oldest homestead in the Northern Territory and is open to the public.